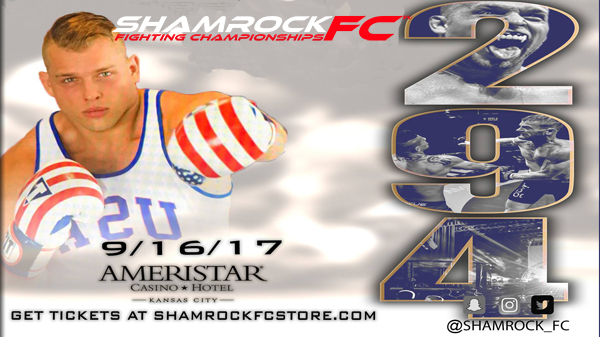 It will be a busy month of September for Shamrock FC as they double dip with shows in Kansas City and St. Louis. It could be a quick night of action with some of KC's best KO artists on the card. Headlining SFC 294 at the beautiful Ameristar Casino will be former All-American defensive end Matt Uhde taking on the journeyman heavyweight Scott Hough. Uhde, training alongside Rudy Bears at the Caveman Crew, grew up in Iowa where he boxed, wrestled, and played football. The latter would take him to Northwest Missouri State in Maryville, MO where he would set several defensive records for the school including sacks per game, something he still holds to this day. After college Uhde found fighting as a way to stay in shape, 11 pro fights later, he's put together a decent MMA career. Now, at age 43, Uhde is out to prove he still has plenty of fight left in him. Omaha, Nebraska's Hough has a had a long career in combat sports spanning back to mid 2000's when he made his professional debut. Known in the MMA circles as the "Sasquatch", Hough only comes out of the woods about once a year to fight, and lately has been having pretty decent results winning two of his last four against some pretty tough competition, with the losses against former SFC Heavyweight Champ, Bobby Brents, and Bellator and VFC-vet Abe Wagner. Hough is resilient and will not be an easy out for the much larger and athletic Uhde. Uhde will want to turn this fight into a brawl, as we give the edge in experience to Hough who should also be favored if the fight on the ground. Popular local Anthony Garrett will take on Wheaton, MO's Jesse Beck. After a red hot start, Beck has lost two in a row coming into his fight with Garrett and will be hungry to right the ship. Representing Title Boxing Club, it shouldn't be a surprise what Garrett's game plan will be, he likes to get his work done early, with the combined time of his first three pro fights barely hitting the 5 minute mark. With neither fighter having left the first round, you won't want to stay in your seat as this fight will most likely end quickly. Coming back after a 10-month layoff Thomas Thatcher will enter the cage against Dean Barry. Thatcher, a lightweight out of Lawrence, KS is coming off a first round stoppage at SFC 280 and will hope to ride the momentum to a win over Barry. Hard hitting Calen Born looks to stay unbeaten, never having left the first round. Standing in Born's way is Devin Webber who will be making his professional debut. Born who has described his style as a "smashing machine buzzsaw" has always been firsts first, and will need to be patient against Webber who's had a long and successful amateur career. If Webber can take this fight into the second round, he has a much better chance of slowing down Born. Rounding out the main card is welterweight Garrett Wells facing Mike Breenan. Despite Wells losing his pro debut, he has tons of potential and the fight against Breenan is the first step in turning things around. Highlights of the the all-amateur undercard is a match-up between Spencer Cox and Laree Hutchinson. Travis Sumler will take on Israel "Izzy" Ortiz , and in a special attraction kickboxing match, Robbie Lopez will take on Jacob Harbit. 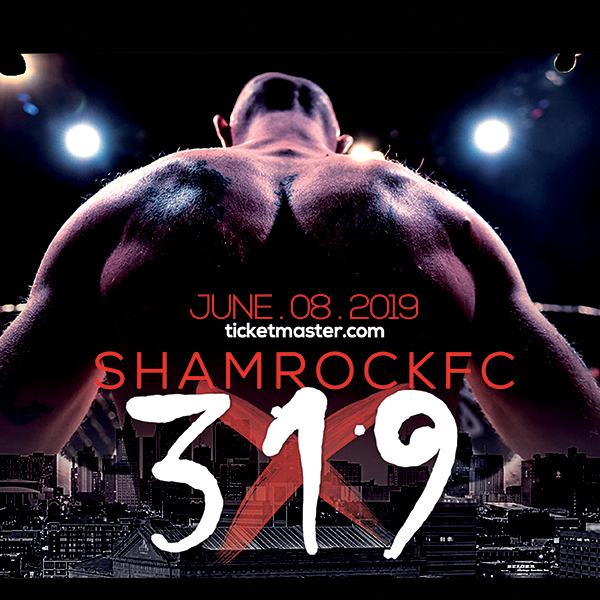 Tickets to the event available at the Shamrock FC store.